Moisture is unavoidable, and can be dangerous if not properly managed. CertainTeed’s mold prevention products help prevent mold and mildew by keeping your walls dry year round. For a healthy indoor environment, and to ward off any structural damage to your home, choose SMARTBATT and MemBrain from the start. 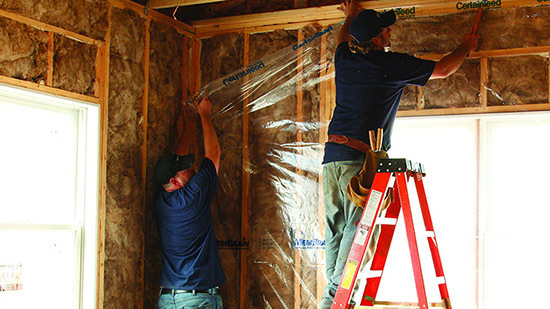 This first-of-its-kind insulation helps reduce the risk of mold all year long. 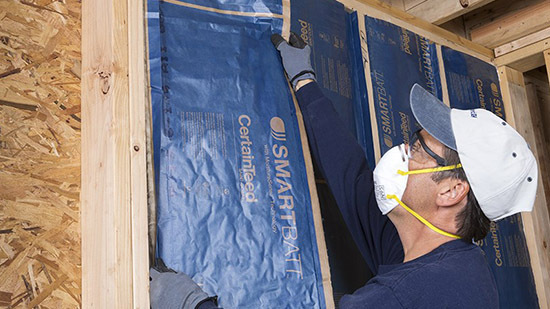 SMARTBATT’s smart vapor retarder technology blocks moisture from entering in the winter, and allows moisture to escape from wall cavities in the summer, making it superior to other standard vapor retarders that can trap moisture in your walls. This Continuous Air Barrier & Smart Vapor Retarder blocks moisture in the winter and allows permeability in the summer for advanced moisture management that keeps walls dry year round, while maintaining air tightness and helping to prevent mold and mildew growth.